A born leader, how could anyone be mad at Boss Baby? Dressed in a suit, Boss Baby is sculpted in a sassy pose as a Pocket Pop! figure. 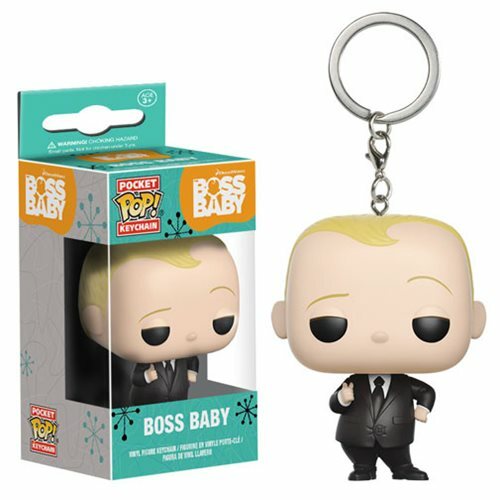 Measuring approximately 1 1/2-inches tall, this Boss Baby Suit Version Pocket Pop! Key Chain comes packaged in a window display box. Ages 3 and up.